In a 2011 radio interview, Patriots quarterback Tom Brady acknowledged his preference for throwing an underinflated football. All was fairly quiet, at least on the official front, regarding the NFL’s investigation into whether the Patriots intentionally deflated some of the footballs used in Sunday’s AFC Championship game win over Indianapolis. The league made no public announcements on the controversy Wednesday, and Patriots players were given the day off. Elsewhere, however, reaction continued to pour in, with tabloids mocking the Patriots, former NFL quarterbacks dismissing the seriousness of the accusations, and one current Patriot taking to Twitter, offering a reminder that the Colts scored only 7 points, and ending his message with an “#inflatethis” hashtag. Hours after the Patriots’ 45-7 win — a victory that sends them to Super Bowl XLIX on Feb. 1 — a report from Indianapolis television station WTHR said the NFL was investigating to see if the footballs used by the Patriots fell within the required weight and air pressure range (league rules stipulate that balls must be inflated 12½ to 13½ pounds per square inch). In a letter shared with the Globe on Tuesday, the league informed the Patriots that game balls did not meet specifications after being measured twice at halftime; an ESPN report put the number of underinflated balls at 11 of the 12 offered by the Patriots to the referees for pregame inspection. While some current and former players — even a Colts tight end — were saying Wednesday that underinflated footballs are commonplace in the game and didn’t make a difference in Sunday’s game, a former NFL side judge who later became the league’s vice president of officiating summed up the situation with one very divisive word, depending on which side you sit with the Patriots, for or against. The Patriots cornerback is among the first from the Patriots organization to respond to news the team used deflated footballs against the Colts. Who takes the fall, if anyone, remains to be seen. Was someone on the Patriots’ sideline meticulously deflating the footballs? Were the balls sent below the minimum requirement before the game to the officials, who failed to detect the mistake? Has this been going on for some time? The Patriots, who were found to be in violation of league rules and penalized after being caught filming an opponent’s sideline signals in 2007, might not get the benefit of the doubt. New York tabloids were quick to pounce, with headlines ranging from “Deflatriots CHEATED!” (New York Daily News) to “SLIME BALLS” (New York Post). How much, if anything, did coach Bill Belichick and quarterback Tom Brady know? In a 2011 radio interview, Brady acknowledged his preference for an underinflated football, which makes it easier to grip, throw, and catch, especially when the weather is not ideal. Sunday’s game, while unseasonably warm at kickoff (51 degrees) was played in off-and-on rain and dropping temperatures. “When [Patriots tight end Rob Gronkowski] scores — it was like his eighth touchdown of the year — he spikes the ball and he deflates the ball. I love that, because I like the deflated ball,” Brady said on WEEI during the 2011 season. He’s scheduled to meet with the media on Friday. Some of Brady’s former peers shot down the significance of using an underinflated football, insinuating that every quarterback is going to find the right feel and air pressure that suits him best. But Mark Brunell offered a different perspective, when asked by the Globe if most quarterbacks like to mess with the football. Esiason and Gannon played in, and lost, Super Bowls. Brunell was a backup when the Saints won Super Bowl XLIV. Other quarterbacks, past and present, have weighed in on the inflation issue this week. Brad Johnson, who quarterbacked the Buccaneers to a win in Super Bowl XXXVII over Gannon and the Raiders, told the Tampa Bay Times in 2012 that he paid $7,500 to a pair of ball boys to scuff up and break in the 100 balls to be used for the game. Aaron Rodgers, whose Green Bay Packers lost Sunday’s NFC Championship game to the Seattle Seahawks, has said that he prefers footballs that exceed the maximum inflation range allowed by the league. The comments by so many quarterbacks have left little doubt that tweaking the air pressure in a football is part of the game, like a baseball pitcher rubbing a ball on the mound, or a batter applying pine tar to his bat. Ravens coach John Harbaugh, who had an issue with the Patriots the week before with the way they utilized some of their offensive personnel on the line of scrimmage as eligible and ineligible receivers — and how much (or little) time his defensive players had to react — told reporters on Wednesday that he detected nothing in the footballs during Baltimore’s 35-31 loss in the divisional round. The only reason it’s a story now might be because of the interception Brady threw in the second quarter against the Colts. Linebacker D’Qwell Jackson picked off Brady and reportedly brought the ball — a Patriots ball — to the Colts’ sideline, giving it to a Colts staffer, who then notified coach Chuck Pagano. Thus reportedly began the dialogue with the officials working Sunday’s game, who weighed the Patriots’ footballs again at halftime and found the underinflation. 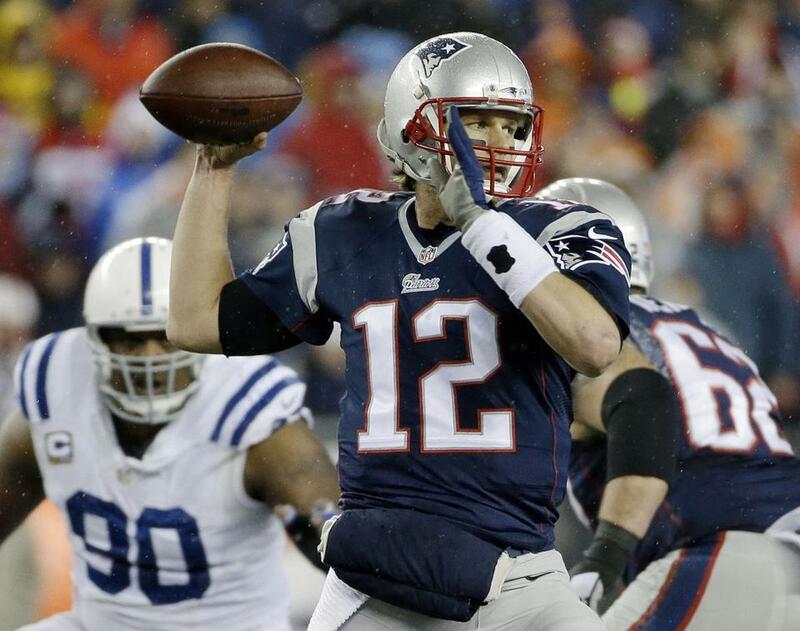 RELATED | Horowitz: Did the weather cause Deflategate? The Patriots, presumably using footballs in the second half that had been replaced by the officials and were within the proper air pressure range, outscored the Colts, 28-0, after halftime. Much ado about nothing, or legitimate Super Bowl controversy with serious ramifications? Arguments are being made on both sides, but not much has been said from the NFL, Brady, Belichick, and most of the other Patriots. Belichick is scheduled to hold a news conference on Thursday at 9:30 a.m. The Patriots return to the field on Thursday for their first practice since winning the AFC championship. The scene of them leaving a confetti-strewn Gillette Stadium field has been erased in the eyes of many by accusations of wrongdoing, again. 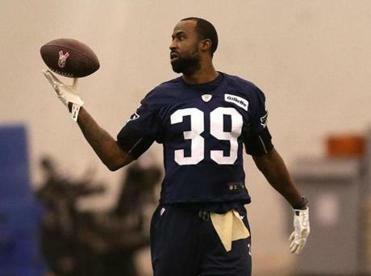 Cornerback Brandon Browner couldn’t wait until Thursday to speak out. In a Twitter message posted on Wednesday, Browner singled out running back LeGarrette Blount (who rushed for 148 yards) and credited the Patriots’ defense for the lopsided win over Indianapolis, setting up a date with the Seahawks (Browner’s former team) a week from Sunday in the Super Bowl.